Tips to get Google Adsense approval fast !! How to get Adsense approval? HomeGoogle AdsenseTips to get Google Adsense approval fast !! How to get Adsense approval? Hello, friends welcome on my blog. As you all know my name is Bhanu Saini and today I am back within another post in which I will give you some best tricks for Google AdSense approval my all tips and tricks are tested and working. 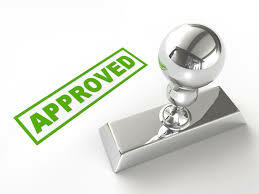 I will tell you How to get Adsense approval? So please read this post carefully and if you like this post then please share with your friends and follow me. As you all know Google AdSense is the best platform to run Google ads and monetize your blog, but for this, you have to take approval of Google AdSense which is very hard. Recently Google AdSense has updated its policies due to which it is now very hard to take approval of Google AdSense on your blog. Many of the peoples start blogging but they fail to take approval of Google AdSense, so if you are one of them you are at right place because I will give some best tips and ideas for fast Google AdSense approval. The responsive theme plays an important role in Google AdSense approval. Your theme must be attractive and responsive. So if you are using a blogger template then please remove it and use a new responsive theme. To get the best responsive themes for Google AdSense approval you can search on Google and get one of the best templates for your blog. So if you are a blog writer can you keep remember these things before writing a post otherwise you will not get Google AdSense approval and if you follow these tips while writing posts you will surely get Google AdSense approval quickly. 4. Provide original content = For quick AdSense approval, your blog must contain original content. So keep in mind you have to avoid copying someone's content.